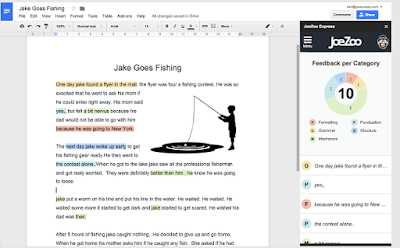 JoeZoo Express is an excellent Google Doc add-on for teachers. It provides you with three handy marking tools to give written feedback, build rubrics, and grade assignments. 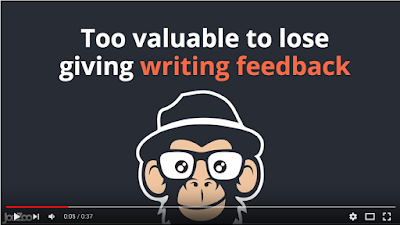 JoeZoo comes preloaded with over 90 of the most frequently used pieces of writing feedback arranged into five main categories: formatting, grammar, mechanics, punctuation, and structure. You can customize the preloaded comments to fit your own grading purposes and JoeZoo saves and adds them to your feedback set so you can use them later on. Another cool thing about the feedback feature in this add-on is that it is visual and interactive. ‘Students click colour coded records and are instantly taken to the highlighted location in their doc, while being shown preloaded tips on how-to fix the error’. The rubric building feature enables teachers to easily design any grading rubric they want. The 5 steps process is very simple: ‘Simply click any section, like the "Grading Scale", then pick from our preloaded values, like Level R - 4, to move forward. 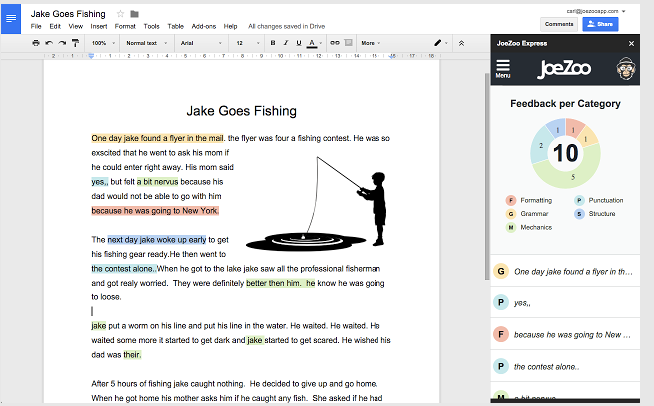 At the end of the process, JoeZoo inserts a perfectly formatted rubric at the top of your doc.’ Rubrics are re-usable and with one click JoeZoo inserts a perfectly formatted rubric in your Google Doc.